You know that you know…. you know? How well do you know yourself? I mean really know. I spend a lot of my working life assisting people to increase confidence levels, bring out the ‘peacock suit’ and display their skills and abilities in value added terms. However, there are also people who I come in contact with who need to be more aware of the areas that they need to work on (communication with others, areas of required learning…etc). It is always worth taking the time to consider how others perceive you. 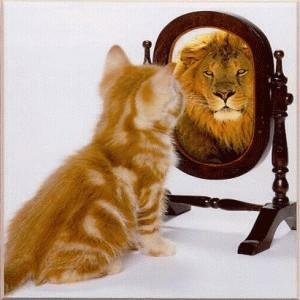 Compare this to how you perceive yourself and examine the ‘self awareness GAP’. I am certainly not an advocate of spending our days in some kind of state of self-deprecating paranoia. In addition, I am not a fan of spending our brief time on this planet in a delusional state of inflated self-importance. We are all learning, developing, sometimes messed up, sometimes hyped up, often wrong, sometimes right human beings. Be happy and proud of your strengths and skills. Make the most of them. Do not be embarrassed to let people know about your abilities. Also, be happy and willing to learn to work on your areas of continuous improvement. Ask for help, improve where you can. If you can admit to yourself, and others, the areas where you need help then this amazing thing happens – people with the skills you need will help you. Then you can exchange skills and ideas; in doing so, create a world-class G-A-T (Goal Achievement Team) based on honesty. It can be a very liberating experience. Are you prepared to listen and be open to how others perceive you?